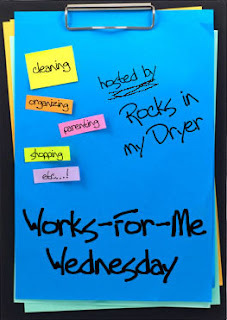 This week, Works for Me Wednesday, is all about ways to inspire your kids to Bust Boredom! At our house we are particularly fond of these two words... "Treasure Hunt!" If things start to go the way of Boredom all I have to say is, "Anybody want to do a treasure hunt?" I've even shamelessly been heard saying things like, "After you guys put away your laundry I'll hide some treasure hunting clues." 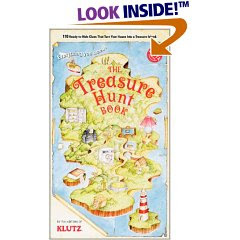 The book contains clues to do several different treasure hunts. (Some of the hunts are even geared for pre-readers.) Each clue has directions on the back of it and the book has handy pockets to keep all of the clues ready for frequent re-hunting. Our next Boredom Buster will be to come up with some of our own treasure hunts. Don't forget to leave a comment before you find other Boredom Busting Tips over at Shannon's ! Treasure hunt - my kids would like this. Thanks for the tip. We've never done a treasure hunt. I am sure the boys would really like this. Great idea. 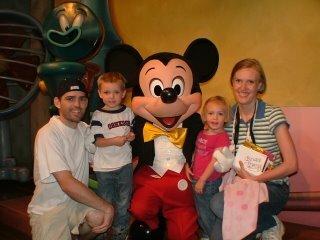 I can't wait to try a treasure hunt with my kids. They'll love it!